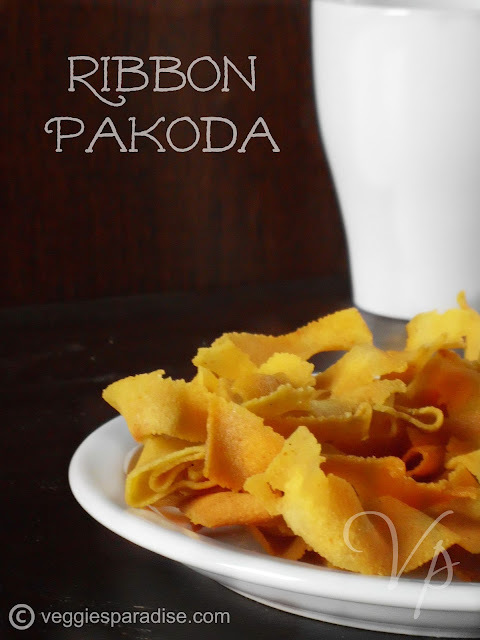 RIBBON PAKODA - A very common and simple snack , which is prepared during Indian festivals like Diwali. 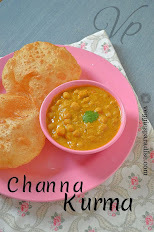 This is made with besan flour and rice flour. It keeps well , if stored in an air tight container. Sift the flour,salt, asafoetida and chilli powder into a bowl. Add water little by little to make a pliable dough.Add few tablespoons of hot oil to the dough and knead it well. 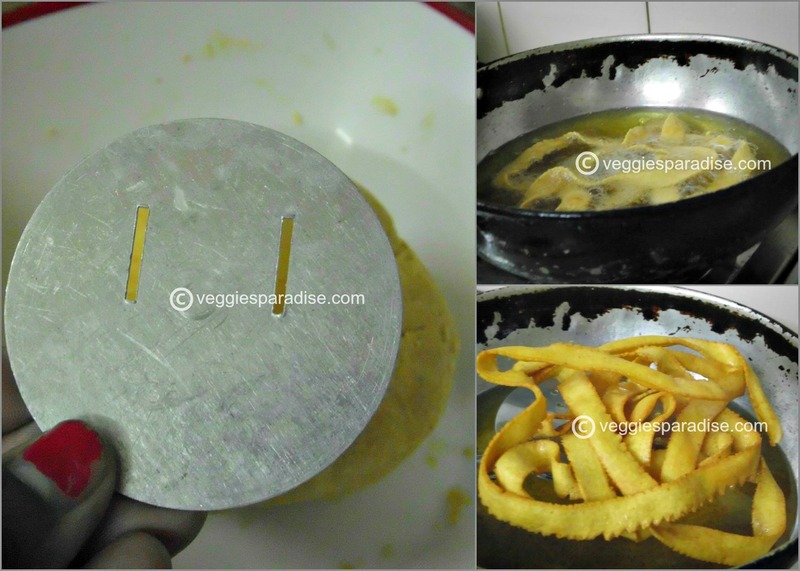 Take small quantity of the dough and put in the Murukku press, use the ribbon pakoda plate and squeeze the dough in circular motion directly to the hot oil. Fry it until it turns light gold and crisp. Drain on paper towels. Allow it to cool and store in an airtight container. wow .... crispy delish...love it! 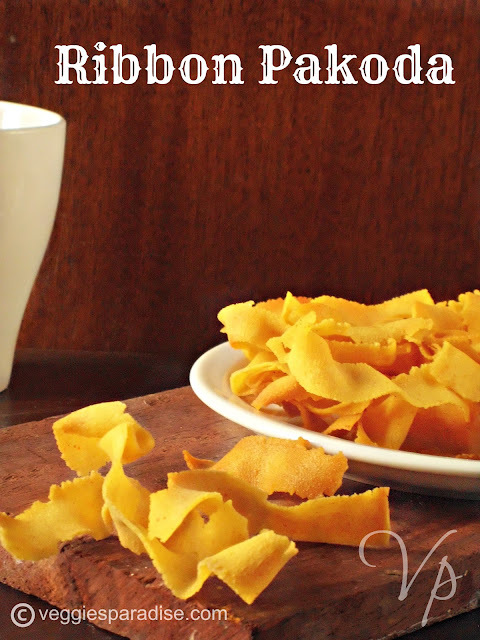 Crunchy munchy ribbon pakodas, feel like having some. This is one of my favorite snack.. Crunchy and delicious.. This crunchy snack came out perfect and so delicious! super crunchy pakoda...u have made it perfectly...nice clicks too! looks so so crunchy n yum!! awesome dear...perfectly done and nice clicks.. Very crispy..This is my most fav snack! !Love this! Perfectly done, looks so crispy and crunchy..
crispy and crunchy pakoda....lovely clicks..
Woow..my fav snack. Love to have any time.delish..